LAGOS September 09, 2013 – As part of the plan to support quality and affordable education to Nigerian youths, Rainbow Educational Services (RES) and its partners, Abbotts College (Cape Town) recently introduced a one year foundation programme to students in Lagos. RES is the sole representative in West Africa and its saddled with the task of facilitating admissions for courses in 23 universities across South Africa. The grade 12 foundation programme is characterised with unique and affordable features which includes a monthly flexible and convenient payment structure covering – application fees, school fees and accommodation (5 meals per day inclusive). 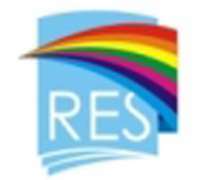 RES also provides other support services on www.rainboweduonline.com with tailored assistance to access relevant information and guides on visas and different payment structures between the options of 8 months duration and a one-time full payment which attracts 4% discount charge. During an interactive session, Managing Director/CEO, Rainbow Educational Services (RES), Mr. Oyedotun Ibukun said ”we have a mentorship programme which provides our organization with first-hand information on the progress of students and we can relate such to parents and guardians periodically.” He added that students from Nigeria will be taught additional languages like German, Portuguese or French during the programme as part of the life orientation course which exposes students to cultural reality in the international world and best practices. To achieve international quality, RES renders services in HESA and SAQA evaluations for undergraduate and postgraduate students respectively. The company is focused on helping the education sector to maintain a global standard in application forms and processing, medical insurance, study permit/visa processing, securing off-campus accommodation, and cab pick-up services for international students at OR TAMBO International Airport in Johannesburg, South Africa. In addition, Rainbow Educational Services offers a distance learning facility called UNISA for people who work in Nigeria but desire to earn a foreign qualification. And the process for A' level full-time studies, diploma, first and second degree holders with short courses for working class and staffs of corporate organizations are some of the other contributions to human capacity development in Nigeria. Abbott College is situated exactly six miles from one of the most developed cities in the world and it offers a combination of courses in agriculture, business, commerce and management studies, engineering and technology, human and social studies physical, mathematical, computer sciences and services as part of its subject for a bachelor degree admission. Lastly, the management of RES parades a team of seasoned professionals with considerable wealth of experience in recruitment and management processes from the private and public sector. The RES team accumulates skills cutting across entrepreneurship, leadership capacity and business consultancy, with chartered accountants, finance experts, engineers and members from the association of chartered insurers representing both offices in Pretoria, South Africa and Lagos, Nigeria. Rainbow Educational Services (RES) was incorporated in Nigeria to provide the business of career counselling and admission support service for students into any higher institution in South Africa. The company is driven by the corporate object to contribute extensively to the wealth of knowledge and dedication while providing quality and affordable education to all Nigerians.